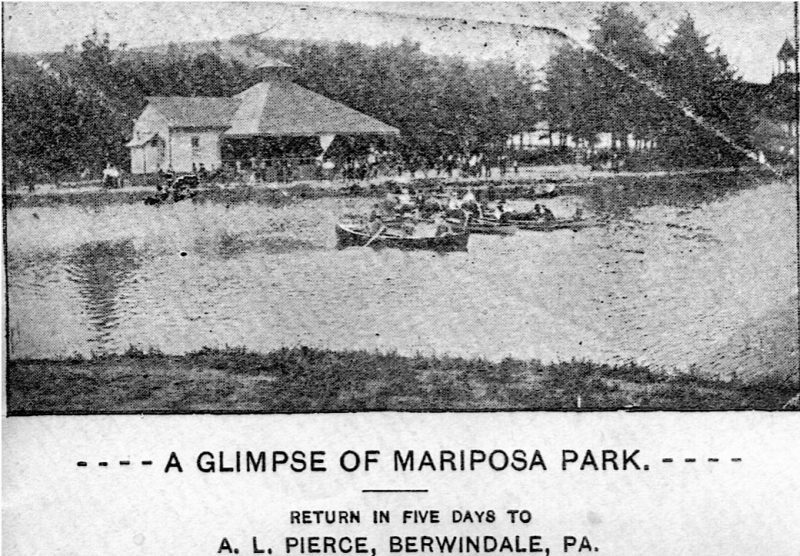 Mariposa Park was located in Berwindale in Jordan Township. A.L. 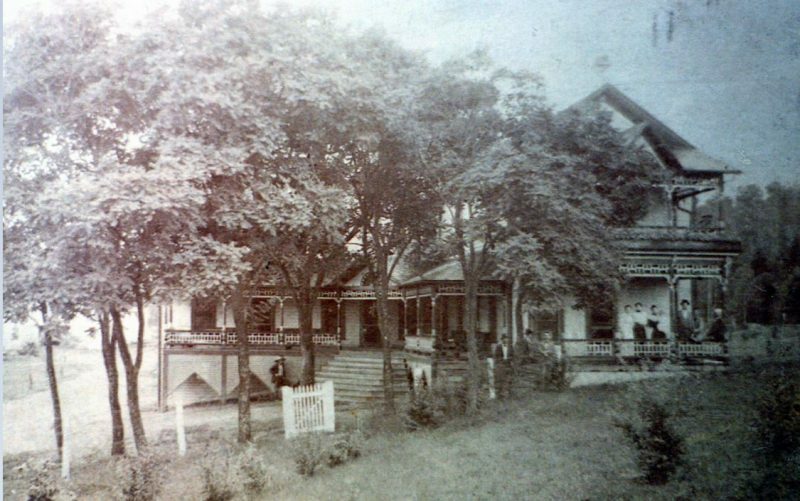 Pearce, the proprietor and manager of the park, bought 300 acres of land and began operations on it in April of 1894. And, after spending many thousands of dollars in improvements, he made it an ideal resort for picnic parties and persons desiring a summer outing. One of the chief attractions was a beautiful lake, dotted with 11 small islands. The entire lake is surrounded by a fine drive and bicycle path. Numerous small boats were at hand for the use of those who desired to row and sail on the lake. The park had a boat house, a music and dancing pavilion, a merry-go-round, a fine band stand and a restaurant. The entire lake and grounds were lighted by electricity. The park was opened to the public July 4, 1894. Mr. Pearce erected a thoroughly modern hotel, which was equipped with all modern conveniences and luxuries for its guests and was known as the “New Atlantis.” It also was lighted throughout by electricity.